Described by the late architectural historian Gavin Stamp as ‘surely the greatest British architect of the 20th (or of any other) century’, Sir Edwin Lutyens spent his boyhood in the village of Thursley, Surrey, where he later developed his distinctive architectural style, based on the traditional forms of local Surrey buildings. Strongly promoted in Country Life by the magazine’s founder, Edward Hudson, Lutyens soon established himself as the ‘go-to’ country-house architect of the day; houses designed by him inevitably commanded premium prices, to the extent that an article (January 5, 1978) suggests that ‘many more houses are attributed to Sir Edwin Lutyens than he ever had a hand in designing’. 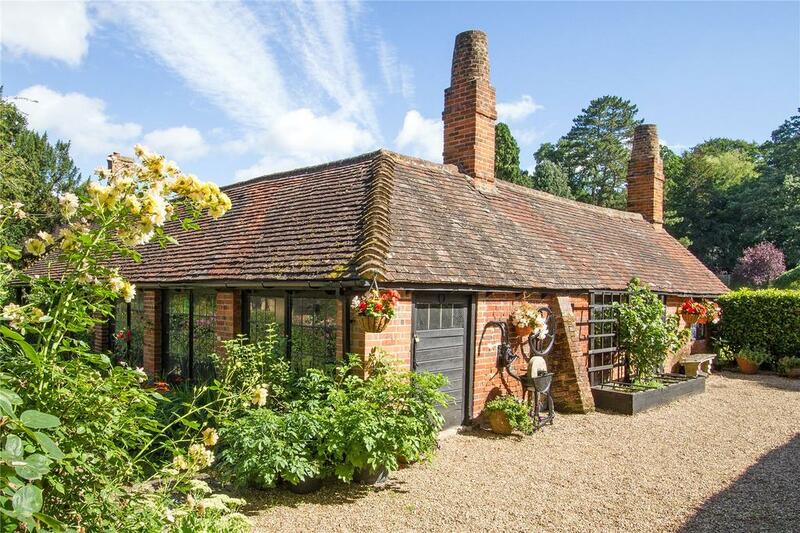 In this 150th anniversary year of Lutyens’s birth (Country Life, March 20), it’s particularly intriguing to find a house cautiously described as being ‘an impressive and charming Lutyens-style country house surrounded by magnificent Jekyll-style grounds’. 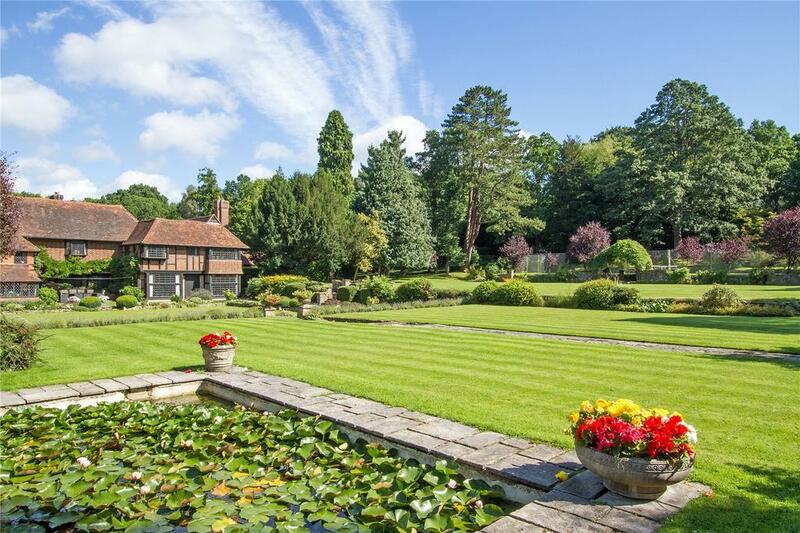 The design of Gooserye at Worplesdon, 41⁄2 miles north-west of Guildford, is so typical of Lutyens that it’s hard to believe that it’s not an original, although that could conceivably be the case, given that the house is unlisted and seemingly little documented. Set in 16 acres of Jekyll-esque gardens that lead onto parkland, bluebell woods and a paddock, Gooserye (pronounced ‘goose rye’) is said to date from the 1600s, ‘with the majority of the main house built c.1908 in the style of Sir Edwin Lutyens’. 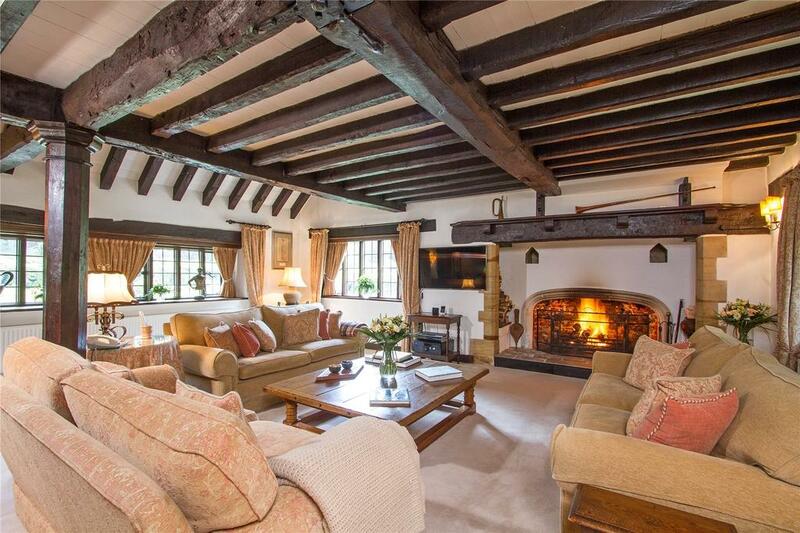 Its many original period features include oak beams, oak panelling and working fireplaces, the whole maintained in immaculate order throughout. 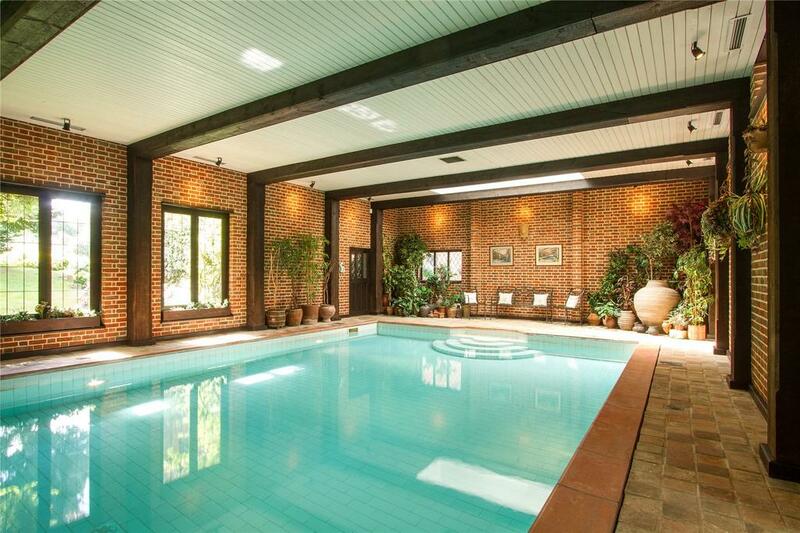 For sale through Savills at a guide price of £5.45 million, the main house provides 13,558sq ft of accommodation, including entrance and inner halls, five reception rooms, a gym and a 55ft indoor swimming pool. The three main reception rooms have lovely views over the formal gardens to the south. 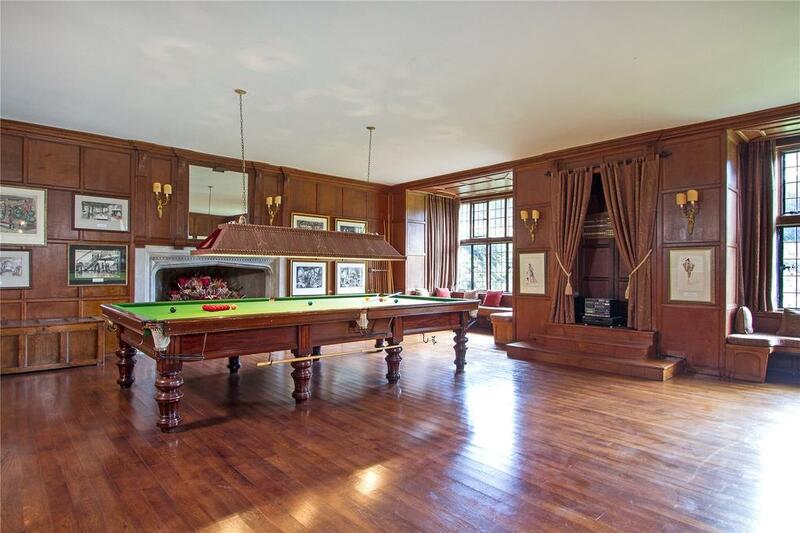 The dining room, study and games room have fine wood panelling and large windows. 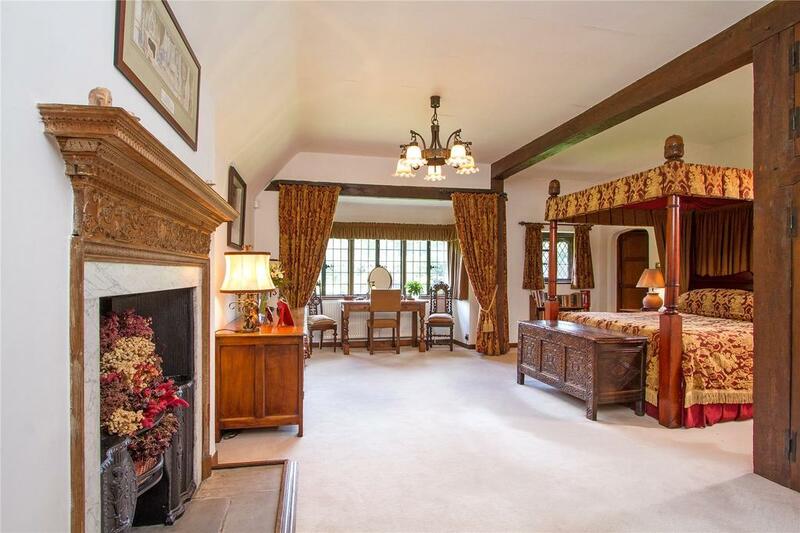 The ground-floor rooms, which flow beautifully, include a formal drawing room, a charming kitchen and a utility/boot room. 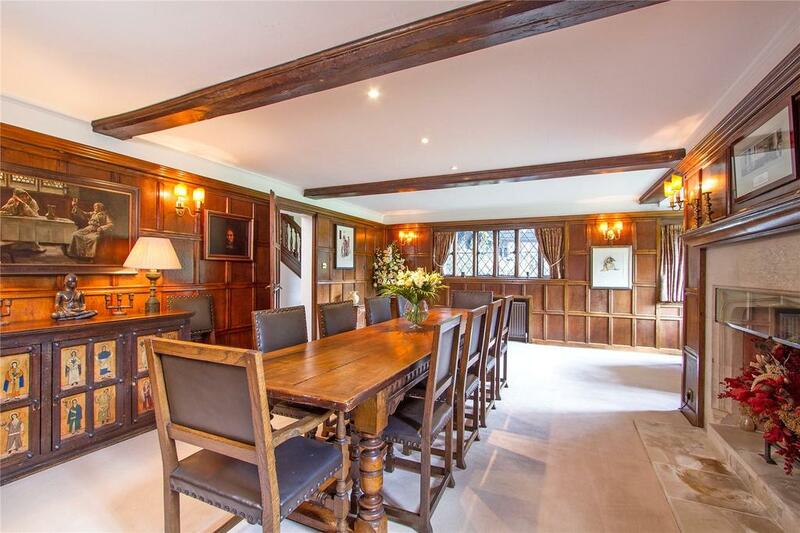 The first floor houses a minstrel’s gallery and a vaulted picture gallery, both classic features of Lutyens houses. The master- bedroom suite is located beyond the picture gallery and has high ceilings, with splendid views over the gardens; there are six more bedrooms and four bathrooms on this floor. The main house, Gooserye, is complemented by an adjoining property called Pond House, which has been converted into two flats, each of which is self-contained with its own entrance. The first-floor flat has three bedrooms, a sitting/dining room, a bathroom and a kitchen; the ground-floor flat has a bedroom, a reception room, a kitchen and a bathroom. These flats can either be kept separate or linked to the main house by existing access doors. 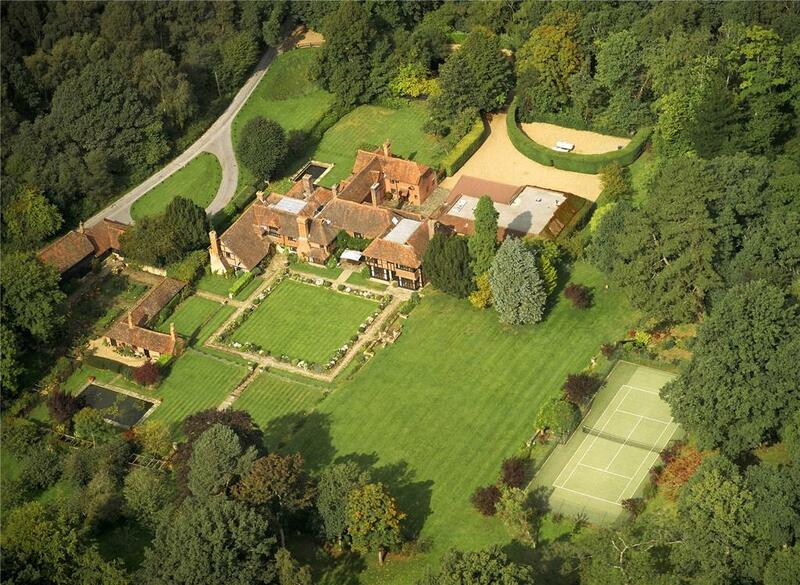 Gooserye is on the market with Savills at a guide price of £5.45 million. Click here for more information and pictures. Eighty-year-old architectural plans created by the great Sir Edwin Lutyens have reportedly been unearthed in the Lady Flora Pois archives.